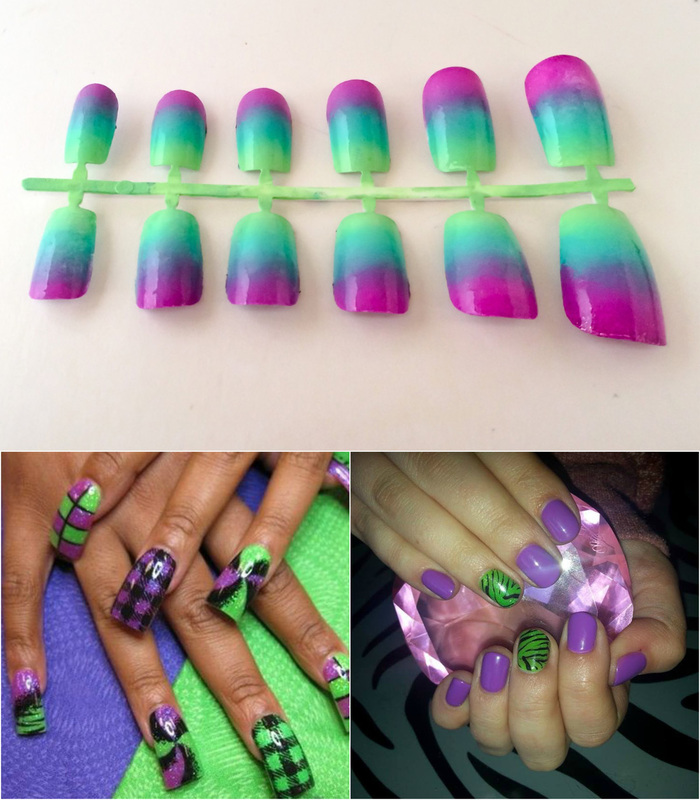 The purple and neon color nail art is for spring and summer season. 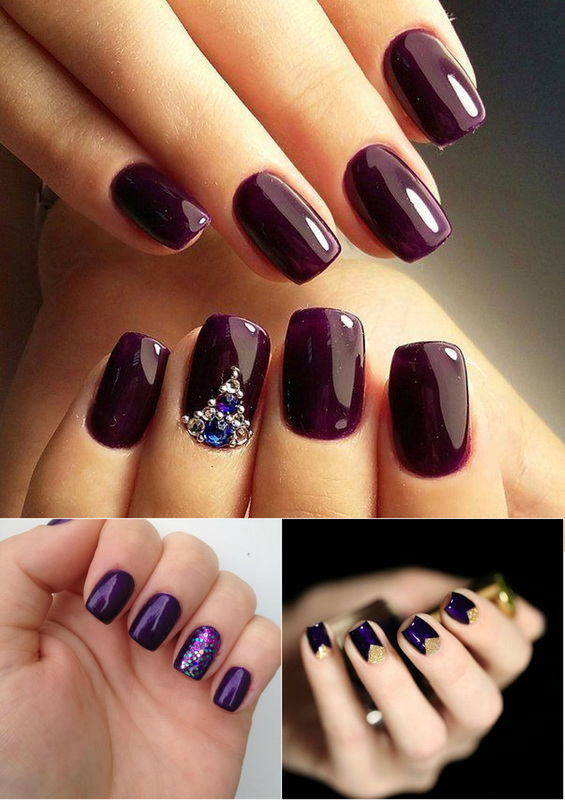 When it comes to the choice of colors for winters, you can go for the dark purple nail design. You can polish your nails with the light or dark purple color nail paint and then you can combine them with gold, silver or black color and you can also use glittery shades. 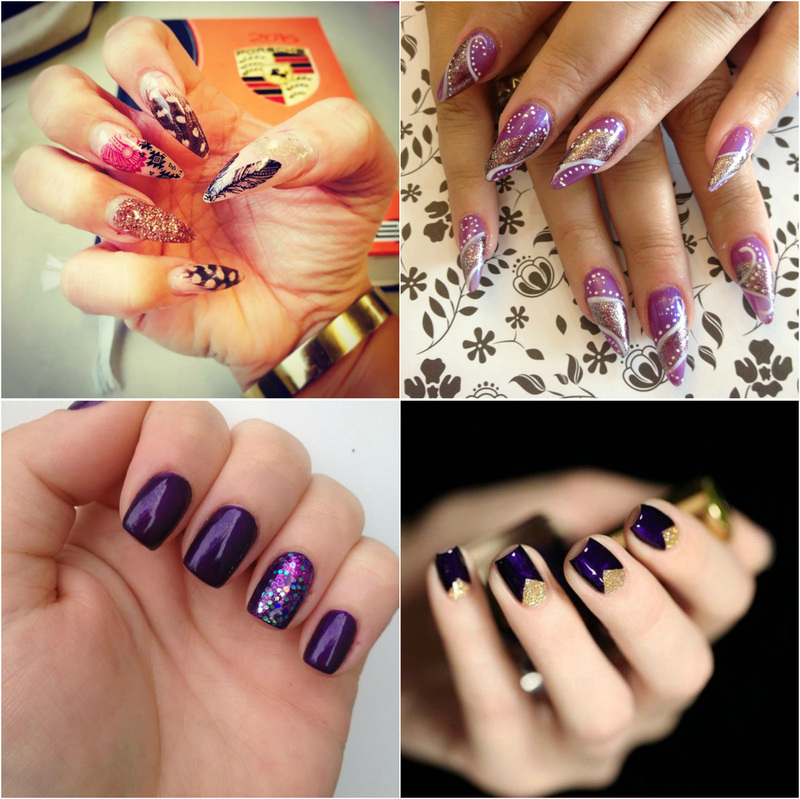 The glittery purple nail paint is a good choice for parties or when you go out for holidays. 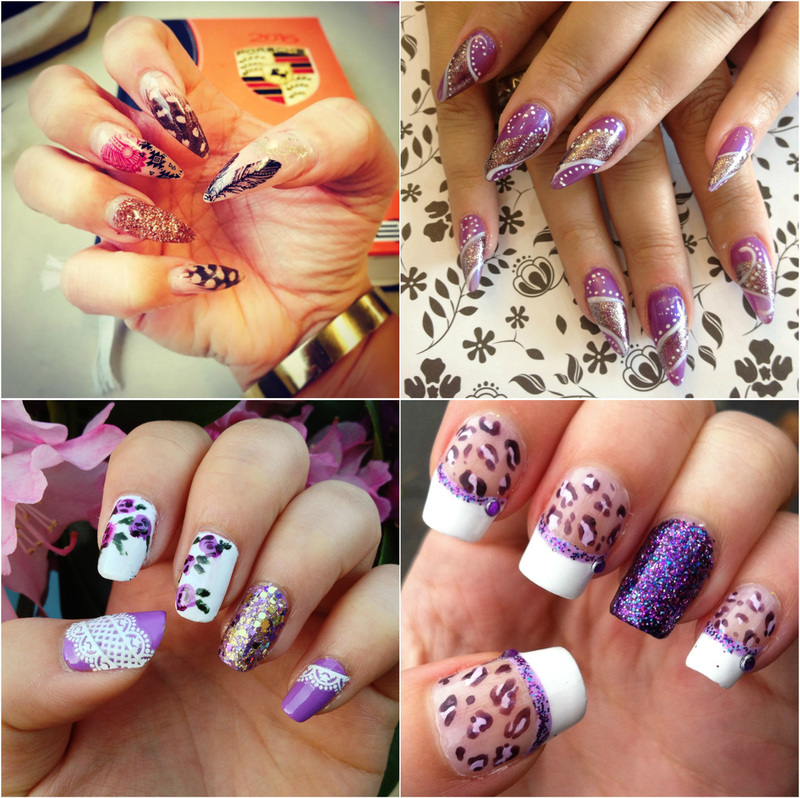 Check out the collection of purple color nail art designs and you can choose the one which goes well with your nails. This works as an exquisite nail art and it looks amazing on mature women and this is the nail art which makes the women look elegant. The astounding glittery purple and white lace stiletto nail art looks fabulous. It looks well with big diamonds. 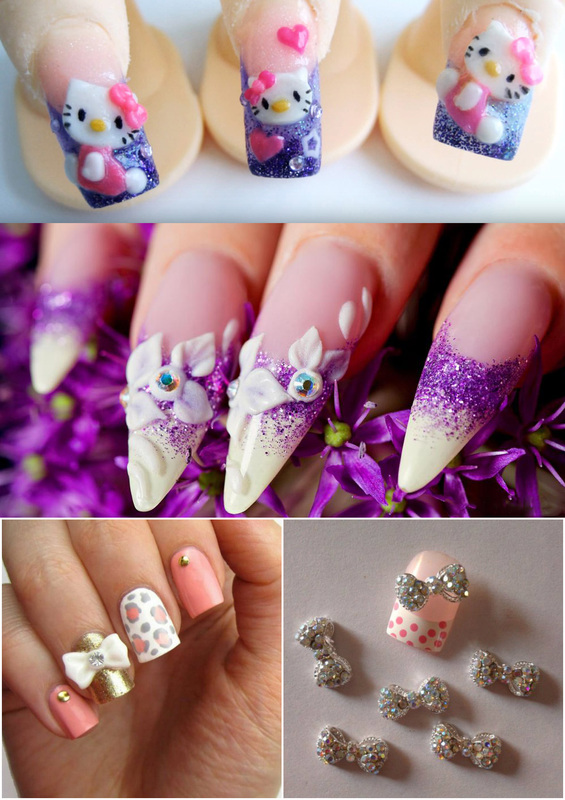 It is the perfect nail designs for weddings and other occasions. Are you looking for real 3D nails? If yes, this one is for you and purple and yellow combination looks superb. This is the great combination and is quick and easy to apply. This nail design is perfect for summers. 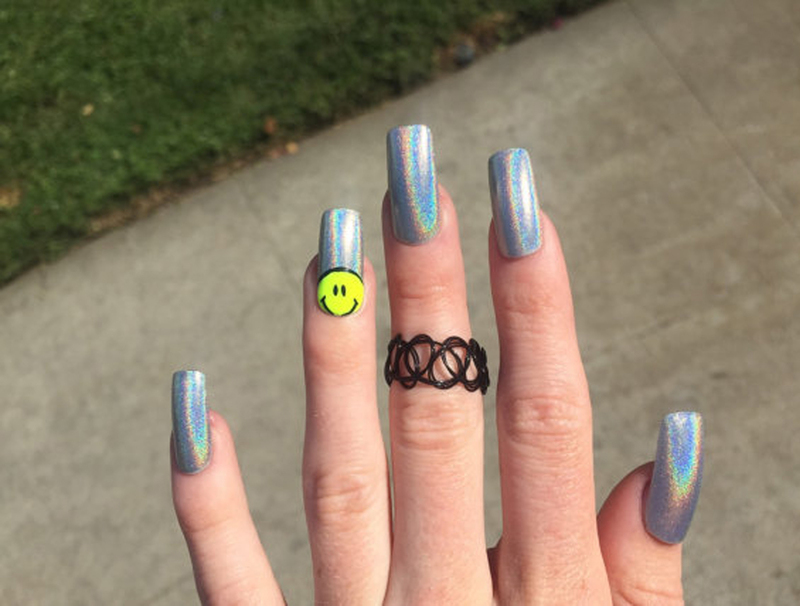 You can use glittery purple nail paint as the base and can make multi-color, cute smiley and this makes you keep smiling all the time. Purple color symbolizes royalty, magic and creativity. You nail art says a lot about you and shows your free spirit. Once you find the color of your choice, just paint your nails with it. Easy step by step nail art design try yourself.